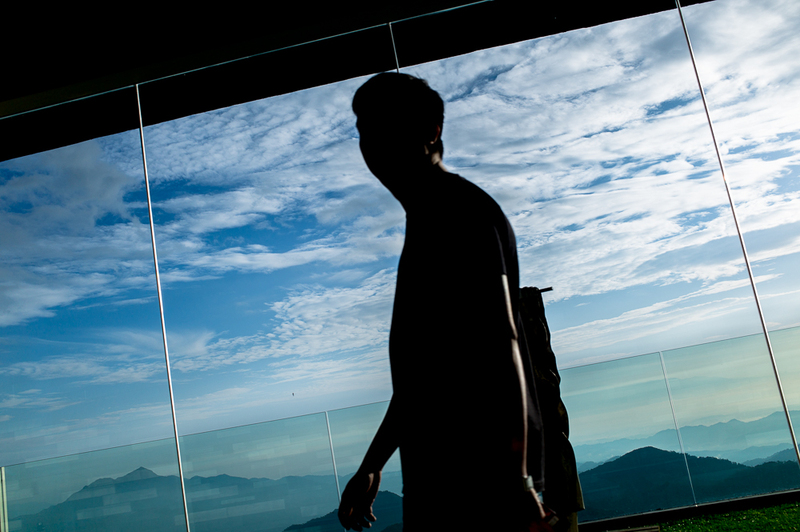 Picturesque mountains and a break from Singapore’s humid climate was made possible thanks to a lovely invitation from Resort World Genting! The last time I was there, I caught a spectacular magic show while they unveiled plans for a new Twentieth Century Fox World Theme Park slated to open later this year. While constructions are still going on 24/7 for the theme park, RWS invited us to catch their all new Power Ranger Dino Charge live show. 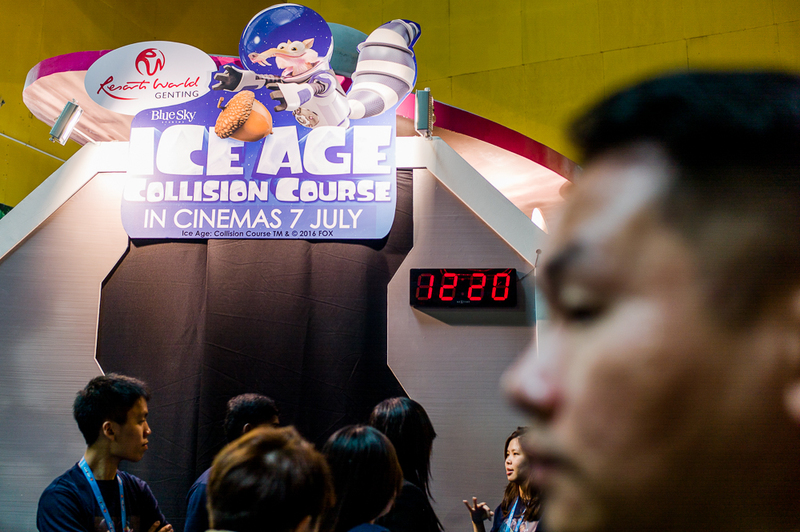 Before we jump straight into reliving our childhood memories with our inner child, we kicked things off by playing the Spacetastic Adventure with Ice Age: Collision Course. In small teams, we completed a variety of task; the most difficult being naming the planets in the solar system (they included Pluto!) before leaving with a small prize. Guess the characters based on their Yoga poses! Can you name all the planets? Get the ball in the box! 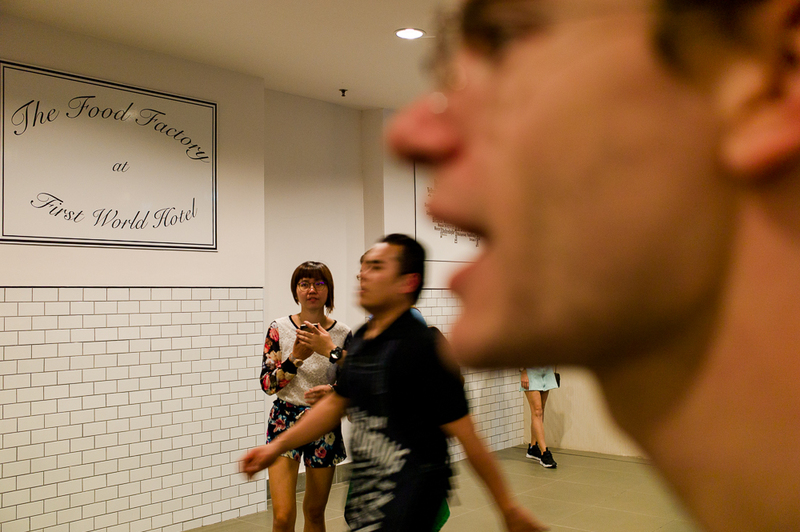 The Food Factory is on the 3rd floor of the First World Hotel serves a wide variety of food; from Western and Chinese cuisines to pratas with delicious sauces. I highly recommend the tiny pancakes with the amazing chocolate sauce from the magical chocolate fountain. Seriously, those things never seem to run out of chocolate! Given that the First world Hotel is the biggest hotel in the world, it is no surprise that The Food Factory is able to sit 1,300 diners at one time! That is a lot of food that has to be churned out quickly to feed the hungry! A ten minute bus ride from the hotel, Awana Rajawali Coffee House serves a wide selection of local and western delights. After an entire day spent indoors, it was great to be surrounded by a bit of greenery as the restaurant overlooks a golf course so do take a walk around. 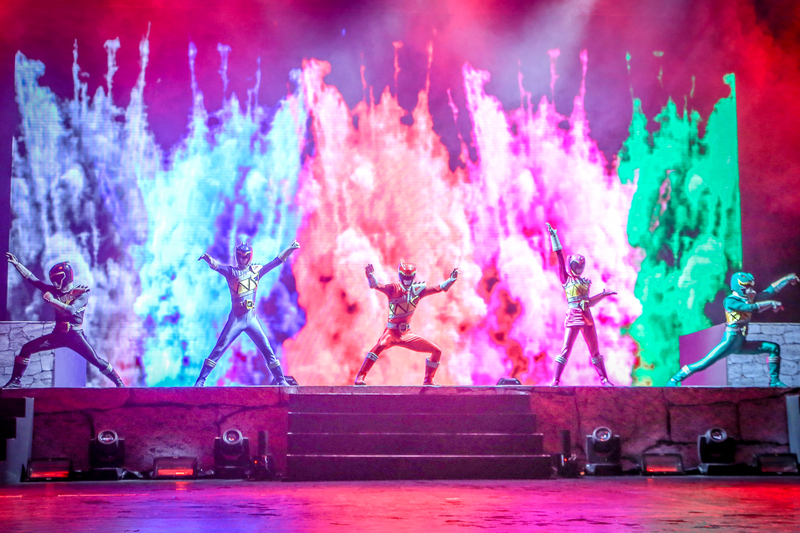 Of course, the real reason we were there was to catch the all new Power Rangers Live! I was a huge fan of magical transformation (think Sailor Moon or Cardcaptor Sakura) which is why I was rather fond of Power Rangers when I watched it back in the days. If I imagined I was 6 again, I could see how the live show would appeal to me as the audience interaction session, lights, explosions and visual effects would have left me on the edge of my seat, wondering what will happen next. Alas those years have passed me by and I can only imagine what a show it would been if I had a certain plant in my possession. Then again, the theme song was stuck in our heads for the next couple of hours and the rangers managed to defeat the evil forces. The trip ended before we could say ALREADY!? I do look forward to the spanking new Fox Theme Park. 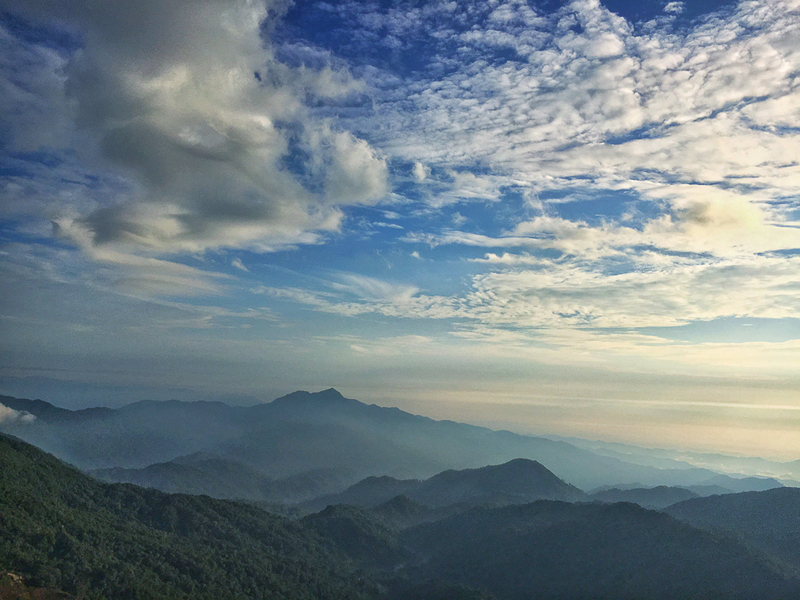 In the meantime, Genting still offers a wide variety of activities and with the occasional clear mornings, you’ll get to admire the shy mountains hiding behind the fog.